The Power Angle Broom is designed for heavy-duty sweeping of dirt, snow, and other unwanted material. It quickly mounts to your skid steer or tractor loader. Featuring a 68", 84" or 96" width, optional hydraulic angle change, and the exclusive Floating Torsion Suspension System . 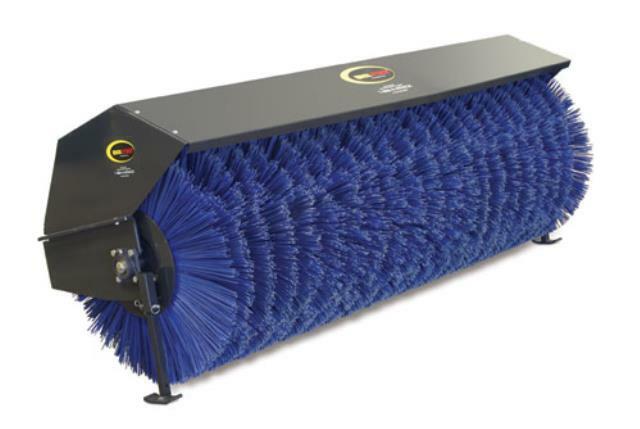 * Please call us for any questions on our broom 68 inch manual angle rentals in Ypsilanti MI and Southeastern Michigan.